Most people are focusing on ‘New Year – New Start’ as it’s the 1st January. But rather than crazy diets or plan’s we cannot possibly fulfil. how about keeping with small, mindful and achievable goals? The folk at Vyve box have a wonderful mantra, as they feel that the 3 main elements of a content,well-balancedd life are ‘Health, Happiness and Prosperity’. If we can all start a new year aiming to balance good health, feeling happy and being prosperous then we are going to have a great 12 months. What is a Vyve Box? 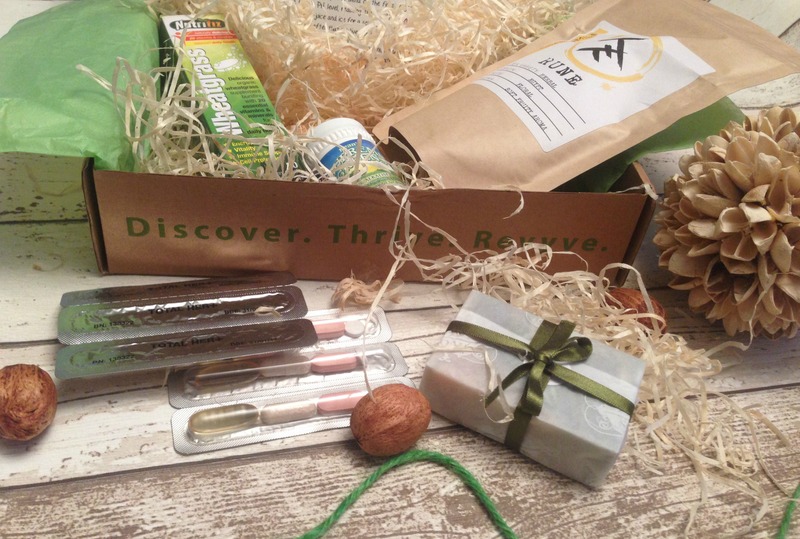 The Vyve box is a monthly subscription service providing boxes filled with a selection of products which have been carefully chosen to nourish your mind, body and soul. *Rune Tea’s Loose Chamomile Blossoms – Personally, Chamomile tea is one of my favourite tea’s and this is the ideal tea to drink if you need a good night’s sleep. *Keans Supreme Greens – Hello, is that a green smoothie you’re dreaming of? Then add these superfood greens and blend for that instant ‘feel good’, whist balancing your body’ PH level. *Soakyourself Kiwi and Lime Soap – Gone are the days of dry soap, this artisan organic soap smells absolutely divine and leaves your hands silky soft. What would you buy again? Would you buy another box? This will be different for everyone but if I’m honest for me the Nutrifiz Effervescence are a ‘must have‘ for my everyday well being. Would I buy another box? For certain, I love discovering new products to aid my health and well being and therefore I would definitely treat myself to another box. The Vyve Box is £19.95 a month but the code ‘KATIE20’ will get you 20% off your order. *Please note that the current Vyve Box reviewed in this post has sold out. Disclaimer: I was kindly sent this box to review, all opinions are my own and I only write about products I genuinely love and would buy with my own money. What I Learnt In 2015..